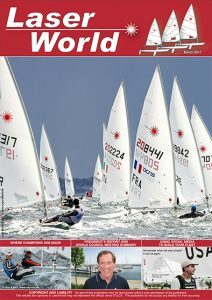 ISAF Sailing World Cup 2014! Racing Lasers – Then and Now! Your New President: Tracy Usher! The San Francisco Slalom Is Back! 2011 Rule Changes – Vote Now! What Makes Nick Thompson Tick?